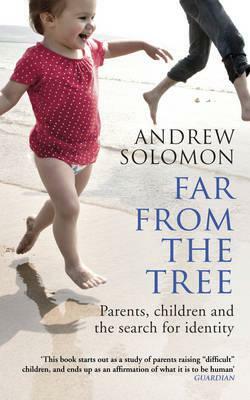 A couple of days ago I read the chapter ‘Dwarfs’ in Andrew Solomon’s Far from the Tree. I had meant to just finish the chapter on the Deaf that evening, and to then move on to something else, but I found myself thinking I should really read ‘my’ chapter without further delay. So I did. This was not what I had expected to happen. I hadn’t bought the book with the idea that any chapter in it was ‘my’ chapter. I bought it because of its exploration of attitudes towards difference. I knew there would be things in this chapter that would cross over with my experience, but it shocked me, the degree to which the experiences described were familiar. Not exactly the same, and not as severe, but still, terribly familiar. The idea that small stature is somehow in and of itself hilarious to some people really stands out. My major was in Theatre, with a focus on acting. For a while, I had the pleasing experience of being approached by people who wanted to compliment me on my acting ability and stage presence instead of to comment on my small stature. I didn’t ever imagine I’d be cast in ingénue roles, but I did see a future in which I could play a variety of roles where my size was not the key reason for the casting choice. I was devastated when the supervisor for my major said that, with my abilities, I could look forward to playing the type of roles that Linda Hunt was cast in. Now she is no mean role model, and she had by that time earned her Academy Award for her role as Billy Kwan in The Year of Living Dangerously (the only role I had seen her in). But I didn’t see myself as belonging to some sort of short-person category of human, dwarf or otherwise. Nor had I picked her as my role model; in fact I hadn’t picked any role models. I was me. The idea that I would be defined, professionally, as a short person and confined, because of this, to playing people with small, quirky physicality had never before entered my head. I know it says something about my own mentality at the time that that’s how I processed my supervisor’s comment (not for a moment, for example, considering what other roles Linda Hunt might have played other than Billy Kwan, who happens to be a dwarf); but I also think the comment did present certain ideas about my physicality and prospects which were limiting. They were not what I wanted to hear from my supervisor. I had another experience in which I was being coached by a director in the physical aspects of playing comedy. I got the message that with my height I could expect to be cast in comedic roles a lot in my career. 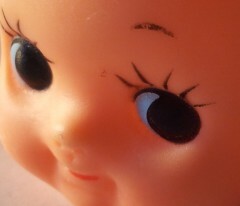 I remember a nightmare rehearsal, being pushed to make huge, exaggerated expressions; to open my mouth wide like a clown. It’s not that I felt stupid, though I did; it’s that I felt I was being asked to betray my innermost self. For the record, it’s not that I hated doing funny stuff. I loved the challenge of playing five roles in Dario Fo’s We Won’t Pay! We Won’t Pay! for the same director. The joy of it. But I didn’t want physical comedy – funny walks, silly voices – to become my life. By the time I finished college, despite my chosen major, I had turned fully to visual art, where I could keep my mouth shut and work alone, where I could be as subtle and inward as I liked, and where being funny was irrelevant. So today I spent some time looking up Linda Hunt to see how she’s got on. And it goes on: ‘At 67 – and just 4 feet 9 inches tall – Hunt spends her days surrounded by actors who are half her age, and almost twice her height.’ The jokiness, the way she is contrasted with everyone else, pretty much sums up the substance of the whole interview. And the title? ‘Linda Hunt: A towering talent.’ Hilarious. Whatever her credentials, and her starring role as Hetty Lange in NCIS: Los Angeles, Hunt herself hasn’t managed to escape, after decades in her career, the focus on her height, her difference. Once upon a time, I was a stand-in for a child actor in an Arnold Schwarzenegger movie, Last Action Hero. I don’t appear in the movie. I was just required to literally stand in for a child actor so lights and cameras could be focused and set up appropriately. As several other small-statured adults and I clustered in a New York café, all waiting for our big moment (pun not intended), one of them happened to say how great the Little People of America meetings were and that we all ought to go along. OK, so, I’m not a joiner at the best of times. The idea of attending a convention of also-tiny people was, frankly, dreadful. But I’m finally starting to get it. I’m not sure if it will change my feeling about joining stuff, but I understand better now how shared life difference might be related to like mind, on which I place so much value.